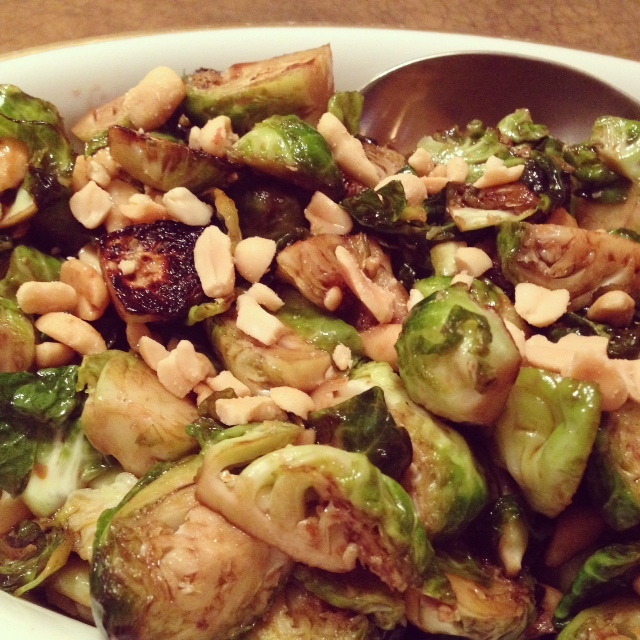 Honey-Balsamic Brussels Sprouts With Peanuts. 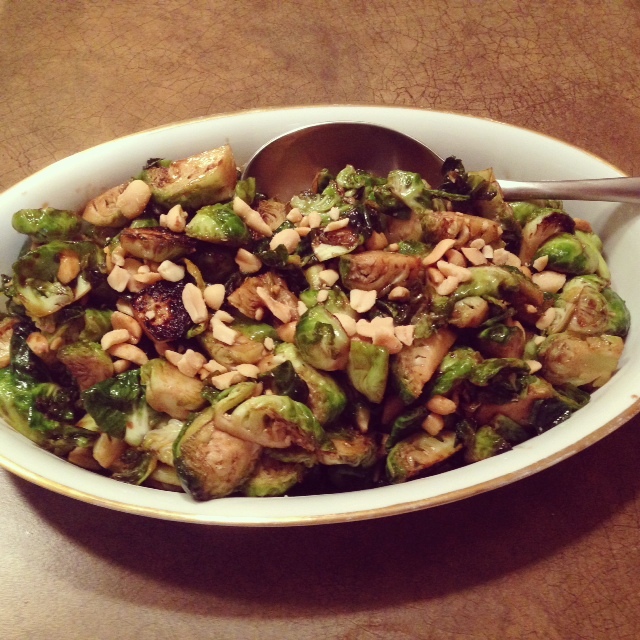 This sweet and salty Brussels sprouts dish was thrown together from random ingredients I had in my cupboard and fridge. Somehow, the flavors really work together! 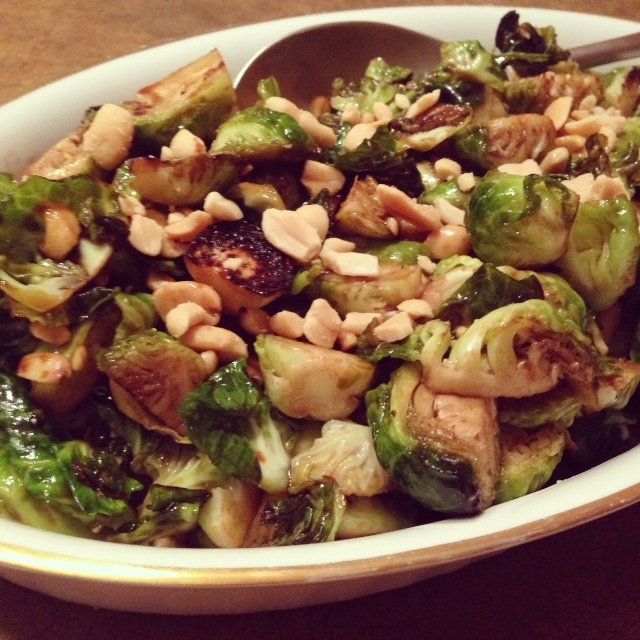 The honey and balsamic balance out the bitterness of the sprouts and the peanuts add a nice, salty crunch. So good! Serves ~6 as a side dish. Heat the olive oil on medium-high heat in a large pan and once heated, add in the Brussels sprouts. Cook for about ten minutes, stirring often, allowing the sprouts to cook through and get crispy on the outside. Once they have lightly browned, reduce the heat and add in the balsamic vinegar, honey and peanuts. Stir to combine all of the ingredients and season to taste with salt and black pepper. ← Bananas for Chocolate Chip Banana Cake. This dish looks absolutely amazing! Excited to try it soon – thanks for the recipe Betsy!